The U.S. Army Corps of Engineers has told Southern Environmental Law Center attorney Nate Hunt that it will conduct a site visit of the farm pond that local farmer Tony Townley built earlier this year on property he owns on Aycock Road just west of its intersection with Matthews Road. Hunt, an expert on the farm pond exemption to the federal Clean Water Act, had written to the Corps on June 26 expressing concern about the pond built on Frazier Creek. Hunt was referring to a document created after a 2006 agreement between the Corps of Engineers office in Savannah and the U.S. Department of Agriculture’s Natural Resources Conservation Service (NRCS) to provide guidance for NRCS and USACE employees in Georgia on requests for farm ponds. Farmers can request that they be allowed to build farm ponds that affect the flow of waters and wetlands controlled by the federal Clean Water Act without going through the permitting and mitigation process. Governments must get a permit and mitigate damage when they disturb streams or wetlands for construction of roads or build reservoirs, and developers must get a permit and do mitigation when they build plants or commercial facilities. But farm ponds can be spared this process because of an exemption to the Clean Water Act created by Congress in 1977. “We urge your office to visit the site of the pond,” Hunt wrote to the Corps in his letter in June. Hunt works in the Atlanta office of the Southern Environmental Law Center. SELC, a non-profit legal organization, does environmental legal work in Alabama, Georgia, North Carolina, South Carolina, Tennessee and Virginia. Kevin Thames of the Corps responded to Hunt’s email message and indicated that the Corps will schedule a visit to the Townley pond on Aycock Road but did not specify the time of the scheduled visit. Hunt shared that email message with me. 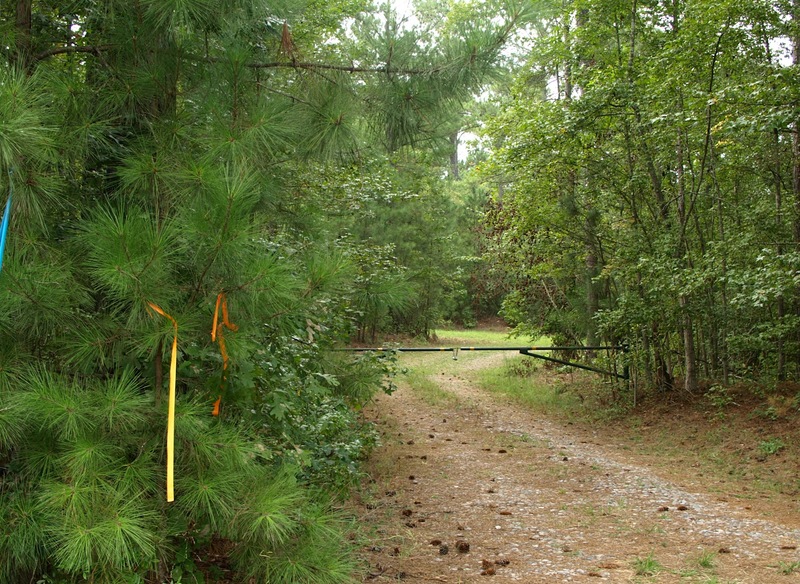 When Hunt wrote to the Corps on June 26 he said that he had been contacted by a property owner “directly downstream” from the Townley property on Aycock Road. Hunt did not identify that property owner, but it was James Knecht, who lives downstream of the Townley pond. Knecht, 1451 Aycock Road, contacted the Georgia Department of Natural Resources on Feb. 20 regarding the Townley pond and contacted me nine days later. 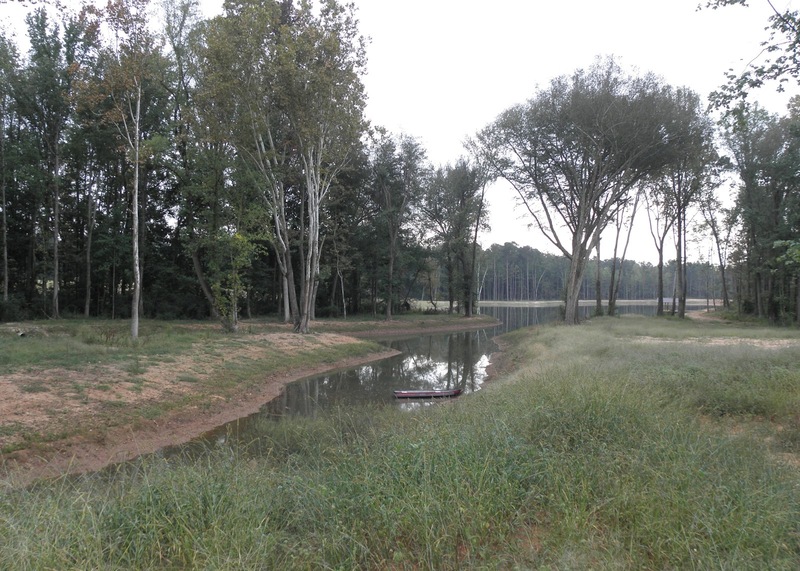 On May 28 I posted two articles to this site on Townley’s use of the farm pond exemption to build a series of ponds on his extensive property holdings in western Oconee County. Townley, an Oconee County native, is a founder and now chief financial officer of Zaxby’s restaurant company. Hunt asked me if he could use some of the pictures I took for those articles in his letter to the Corps, and I gave him permission to do so. Hunt sent me a copy of his letter when he sent it to the Corps. On Aug. 22, I filed a Freedom of Information Act request with the Corps of Engineers to obtain a copy of Hunt’s letter and the Corps’ response to it. I also was seeking information on Knecht’s complaint to the DNR, which, I was told, had been forwarded to the Corps. In response to an open records request I filed in late March with the Georgia Environmental Protection Division, a unit of DNR, I received a copy of a Feb. 28, 2012, email message from Phoebe Tchoua of the Athens office of EPD to Justina Outlaw at the Corps. My August FOIA request to the Corps simply asked for information added to the regulatory permit file for Tony Townley since I had filed a similar request in April. The file did not contain Hunt’s letter or any response to it. It also did not contain any record of correspondence with the Georgia EPD or the DNR. What it did contain was a letter to Townley dated June 6, 2012, indicating that the Corps had determined that a 58.8 acre lake that Townley proposed to build in Morgan County was exempt from the Clean Water Act under the farm pond exemption. I contacted Dodd by telephone in September and asked her why I had not received the Hunt letter. She indicated she would have to search the records again. She sent me an email message on Sept. 12 indicating that she had found the Hunt letter and was attaching it to her message. She indicated that there was no record of a response by the Corps to Hunt’s letter. She also wrote that the Corps had “no records responsive” to my request regarding correspondence with the Georgia DNR. Hunt also sent an email message to the Corps on Sept. 13 asking for a response to his June letter and sent me a copy of that correspondence. He received the reply later that day indicating that a site visit to the Townley pond was being organized. Townley has been informed that the pond on Aycock Road and other ponds he has built are exempt from the Clean Water Act by the Athens Office of the Natural Resources Conservation Service, a division of the U.S. Department of Agriculture. Townley asked for the exemption so he could water pastureland and hayfields on his property. Townley keeps cattle on his farms, and he has built an elaborate irrigation system with sprayheads easily visible from several roadways in the county. Because NRCS has refused to release details of the applications, it is impossible to know how Townley has justified the specific water needs for his farming operations and how he justified the various ponds he has built. The Corps does not redact so extensively the documents it releases, and it provided details on the proposed 58.8 acre lake that Townly proposes to build on a tributary to the Apalachee river just inside Morgan County north of U.S. 441. The pond would provide 1,176 acre-feet of storage at normal pool and “would supply irrigation of 359 acres of Bermuda and Ryegrass crop,” according to a letter the Corps sent to Townley on June 6 of this year. The pond would be 50 feet deep at the dam. “The NCRS has verified that the water need is greater than the storage capacity of the proposed pond,” Philip A. Shannin, chief, Permits Section, Piedmont Branch of the Corps of Engineers, wrote to Townley. The pond is to be built on 1,412 acres of land along the Apalachee River that Townley purchased late last year, according to Morgan County tax records. Townley manages approximately 400 head of cattle and “intends to use this new tract of land for farming purposes,” according to a February 2012 Agricultural Exemption Permitting Report provided to me as a result of my FOIA request. Carter Engineering Consultants Inc., with offices at1551 Jennings Mill Road, is listed as the author of the report. The proposed earthen dam will be approximately 60 feel tall. According to the Morgan County tax records, Townley purchased four tracts of land for $2,682,800 on Dec. 16, 2012, from Weyerhaeuser Real Estate Development. The largest tract, 931 acres, starts at U.S. 441 and runs north along the river until it joins with two other tracts, one of 129 acres and the other of 349 acres, with continue north along the river and reach Wagnon Mill Road at two points. The fourth, small tract also is on U.S. 441 and adjoins the 931-acre tract. The northern end of the tract is opposite the Oconee County Heritage Park’s small frontage on the Appalachee River, and much of the tract is across the river from the area proposed by Russ Page for a River Walk. Google Earth shows the land as mostly forested. The purchase was made by MTSL Holdings LLC, which, according to Georgia Secretary of State Corporate records, is based at 1040 Founds Boulevard, the headquarters of Zaxby’s Franchising Inc. Tony Townley is the registered agent of MTSL Holdings. The letter from the Corps granting the farm pond exemption was written to Townley at his home address, 4601 Hog Mountain Road. In August of this year, the Georgia Board of Regents approved the sale of the 522-acre University of Georgia Plant Sciences Farm to Townley Family Partnership. The price was $11.4 million. The Georgia Secretary of State database lists Tony Townley as the general partner of that corporation and lists its headquarter as 4601 Hog Mountain Road.